The television network, Al Jezeera, took this tour and broadcast this video around the world. We invite you to share the experience. Hebron and Bethlehem are the two largest Palestinian cities in the southern part of the West Bank. You'll visit Abraham's Tomb, Church of the Nativity, a refugee camp, the Separation Barrier, and see the impact of Israeli settlers in Hebron. The tour begins in Jerusalem and passes through the Bethlehem Checkpoint where the Palestinian guide will meet the group, due to the restrictions prohibiting most Palestinians from entering Jerusalem. 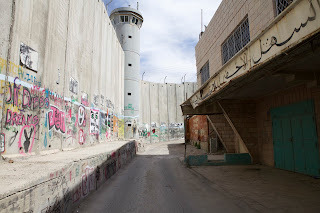 The Checkpoint is one of the few entry points into Bethlehem which is surrounded by fences and 8-meter (25 ft.) high walls. 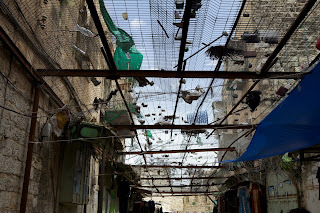 From Bethlehem the tour will travel to Hebron seeing the Israeli settlements en-route and learning about home demolitions and travel restrictions that the Israeli authorities place on Palestinians living in the area. Inside Hebron the group will visit the Ibrahimi Mosque, and the city's market where Israeli settler strongholds have squeezed the life out of the formerly thriving area. You will walk though the market with time for shopping. The tour sometimes varies to include a glass factory or one of the aid organizations in the city. 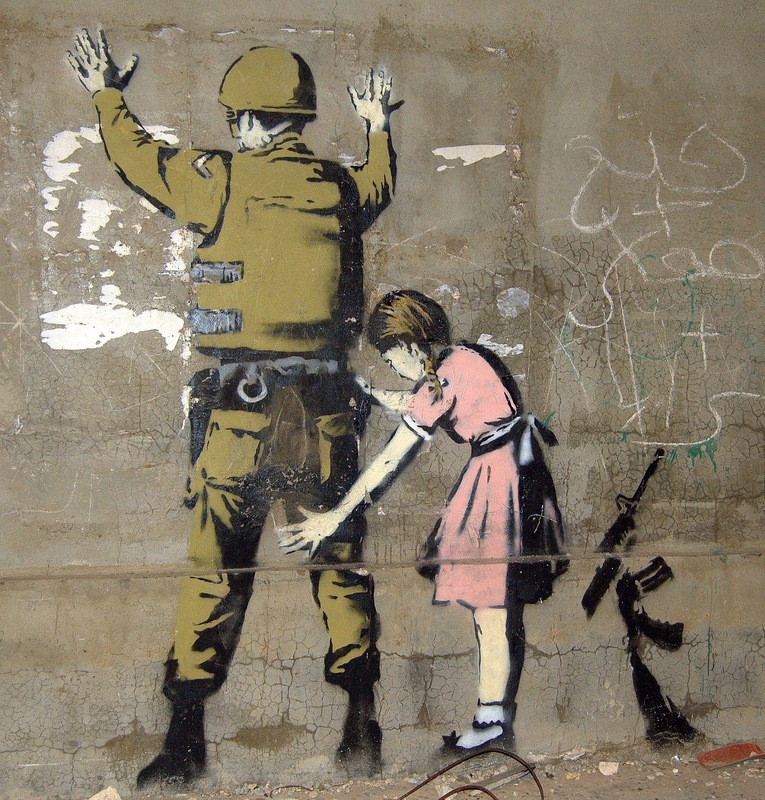 On the return to Bethlehem you will visit the Separation Barrier and the famous Banksy Graffiti and the Church of the Nativity, and have a walking tour of the Deheishe refugee camp. Both cities are administered by the Palestinian Authority while being isolated from Jerusalem and the northern West Bank due to Israel's construction of the 'Separation Barrier', hundreds of checkpoints, 'Israeli only' roads, and restrictions on travel into Jerusalem. This unique tour provides an overview of the situation on the ground. 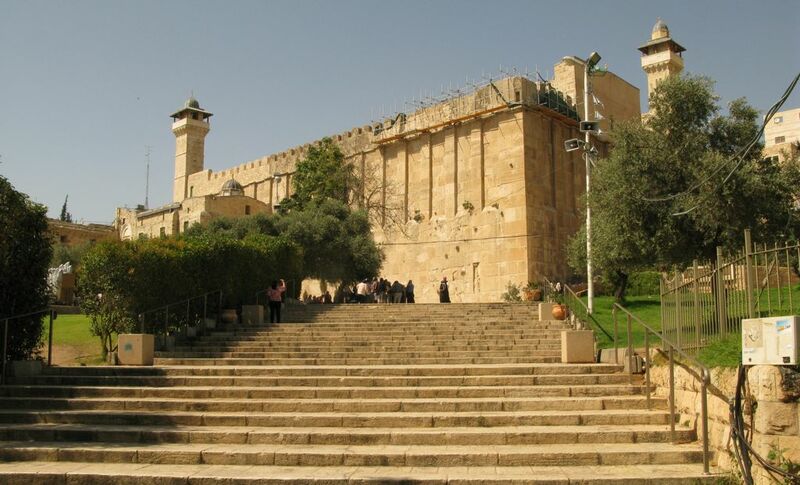 Hebron is located 30 km south of Jerusalem, along the eponymous Mount Hebron. 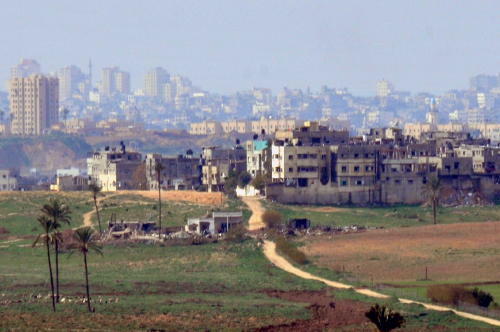 It is home to some 166,000 Palestinians and 700-800 Israeli settlers (2007). Hebron lies 930 metres (3,050 ft) above sea level. Hebron is famous for its grapes, limestone, pottery workshops and glassblowing factories. It is also the location of the major dairy-product manufacturer, al-Juneidi. 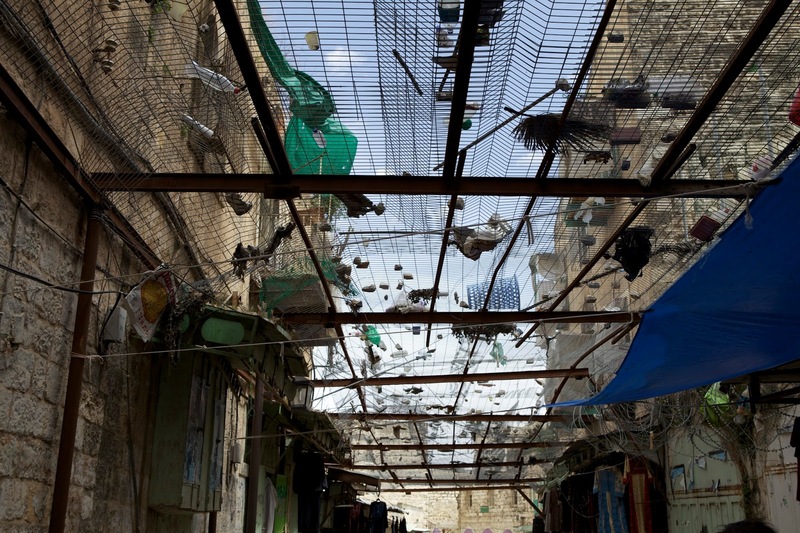 The old city of Hebron is characterized by narrow, winding streets, flat-roofed stone houses, and old bazaars. It is home to Hebron University and the Palestine Polytechnic University. The Cave of the Patriarchs is holy to all three Abrahamic faiths, Judaism, Christianity, and Islam, due to their traditional connections to Abraham. Bethlehem is a Palestinian city in the central West Bank, approximately 10 kilometers (6 mi) south of Jerusalem, with a population of 30,000 people. It is the capital of the Bethlehem Governorate of the Palestinian National Authority and a hub of Palestinian culture and tourism. The Ottomans lost the city to the British during World War I and it was to be included in an international zone under the 1947 United Nations Partition Plan for Palestine. Jordan occupied the city in the 1948 Arab-Israeli War, and it was subsequently occupied by Israel in the 1967 Six Day War. Israel has retained control over the entrances and exits to Bethlehem, though day-to-day administration has been under the purview of the Palestinian Authority since 1995. 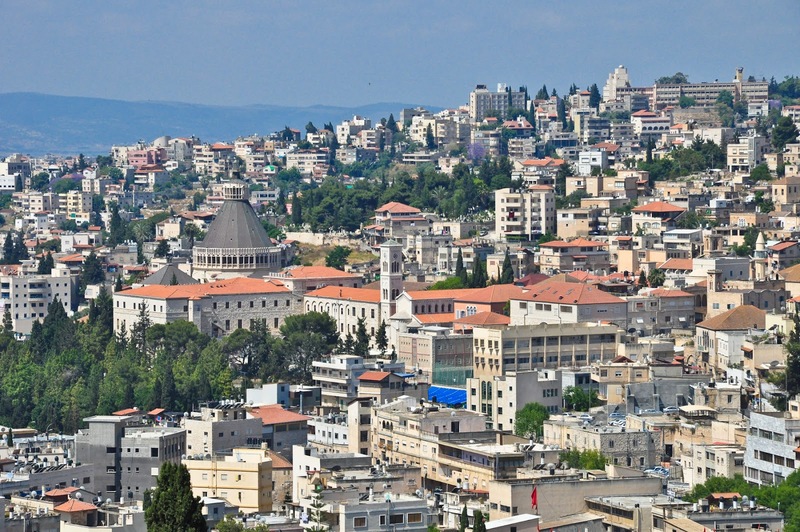 Modern Bethlehem has a Muslim majority but is also home to one of the largest Palestinian Christian communities. The Bethlehem area includes the towns of Beit Jala and Beit Sahour, as well as the refugee camps of 'Aida and Beit Jibrin. Bethlehem's dominant economic sector is tourism which is particularly high during the Christmas season as the city is a Christian pilgrimage center, being home of the Church of the Nativity. Bethlehem has over thirty hotels and three hundred handicraft work shops, employing several of the city's residents. Rachel's Tomb, an important Jewish holy site is located at the entrance of Bethlehem.